Click to enlarge. Views may vary slightly from working drawings. 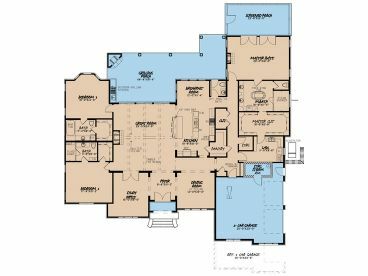 Refer to floor plan for actual layout. Click large image to zoom. First Floor 3765 sq. ft.
Width 83 ft. 8 in. Depth 89 ft. 6 in. Approx. Height 35 ft. 0 in. First Floor 10 ft. 0 in. Processing and shipping fees are calculated per plan, and not per total order. Rates are subject to change without notice. *Please Note: International orders may take up to 3 weeks for delivery. PDF and CAD files do not require shipping. 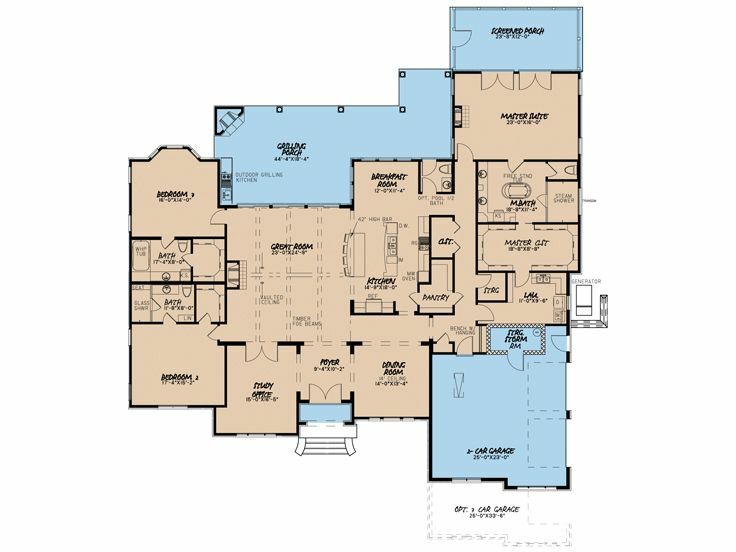 PLEASE NOTE: The house plans found on TheHousePlanShop.com website were designed to meet or exceed the requirements of a nationally recognized building code in effect at the time and place the plan was drawn. Note: Due to the wide variety of home plans available from various designers in the United States and Canada and varying local and regional building codes, TheHousePlanShop.com does not guarantee the plans will meet building codes for all areas. 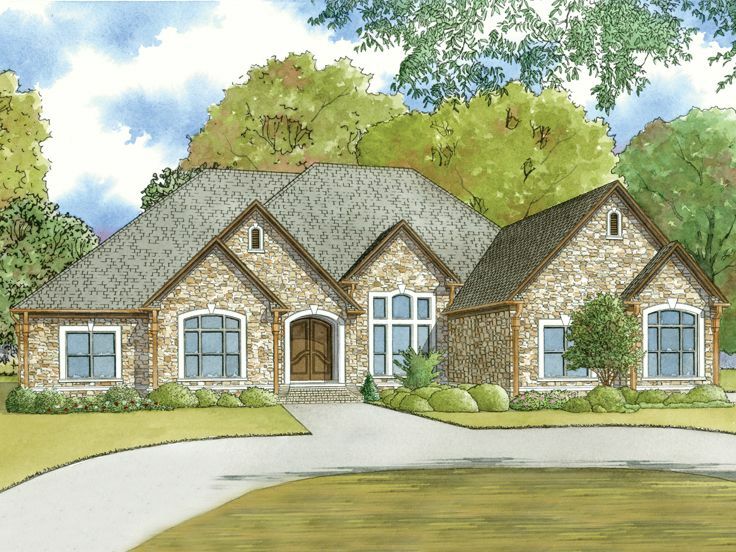 It is the responsibility of the homeowner or builder to ensure these house plans comply with local building codes. All house plans purchased through TheHousePlanShop.com are provided as-is and are copyrighted by their respective architects and designers. Please review Terms and Conditions for more information. © 2006 - 2019 The HousePlanShop, LLC. All Rights Reserved.